Even though Google has made a lot of announcement with Android and Nexus devices, it is not the only thing Google has announced on that day. Over at San Francisco’s Balboa Park, a couple of mines from Google’s breakfast talk, the mayor of San Francisco announced that it is receiving a $600,000 gift from Google to set up 31 of its city parks with Wi-Fi. In the gift, Google will provide funding to a non-profit group to help pay for the equipment, installation, and maintenance of the wireless networks for two years. After two years, the city will take responsibility in maintaining the network in partnering with local organizations and partners. In return, Google does not want anything back (no strings attached), rather that it just wants to empower citizens and community groups with wireless data and set the city as a pilot for free city-wide Wi-Fi. Even though the city is home to a extensively large number of tech start-ups and congested with many tourists, the city is somewhat slow in adopting. While many of us are on fast home and mobile broadband, some old recreation facilities are still relying on dial-up connections. The city did try to get a deal with Google and Earthlink on a city-wide Wi-Fi service, but was shot down as the companies were unable to agree on a contract. 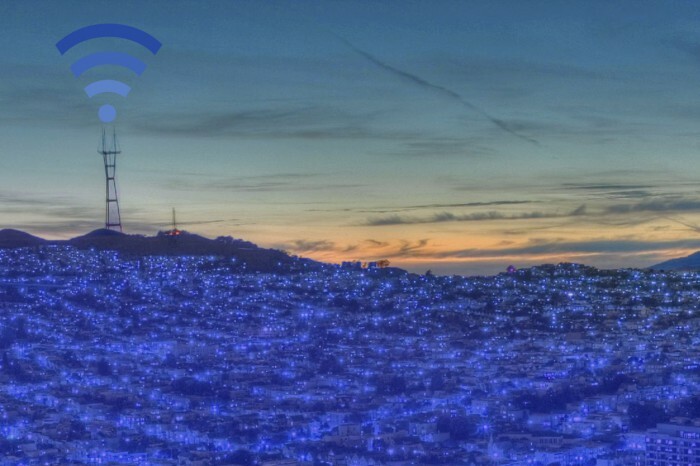 But with a grant from Google, the city can be in the lead and become the first to have a large city-wide Wi-Fi. 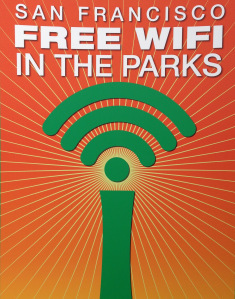 (Note: a good handful of them have some free Wi-Fi provided by a public library located in or near the park). As of right now, the deal is pending approvals. If approved, installations should start in November and should be up and ready by April of next year. If this project is a success, it is likely that we will see more city parks get outfitted with free Wi-Fi. Image modified from Wikipedia source. Previous articleWhy Did Google Kill Reader?